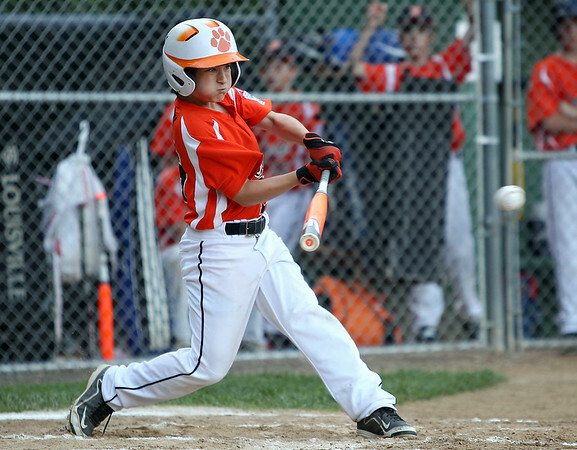 Beverly shortstop Shane Cassidy lines a single off Hamilton-Wenham starting pitcher Cooper McGrath on Thursday evening at Harry Ball Field in Beverly. DAVID LE/Staff photo. 7/10/14.